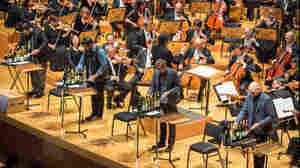 October 8, 2018  The Los Angeles Philharmonic, which begins to mark its centennial this fall, is credited with helping to bring high culture and great composers to L.A.
October 2, 2014  Gustavo Dudamel conducts Mahler's Fifth Symphony and a new percussion concerto by Pulitzer Prize-winning composer David Lang in this season opener at Walt Disney Concert Hall. October 2, 2013  Ten years ago, architect Frank Gehry's Walt Disney Concert Hall opened its doors. 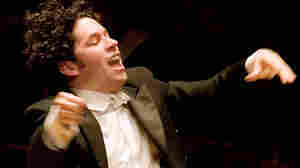 Conductor Gustavo Dudamel celebrates the occasion with classics, plus a new percussion concerto. 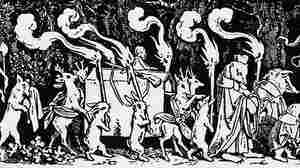 March 21, 2013  The idea of transforming the children's song "Frère Jacques" into a funeral march was both creepy and ingenious, making Gustav Mahler's very first symphony a bold game changer. 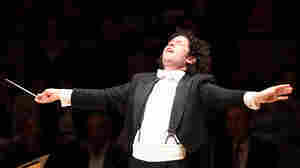 October 8, 2009  Gustavo Dudamel has been called "the Obama of classical music." Hear the charismatic 28-year-old conductor from Venezuela officially take over the Los Angeles Philharmonic with a gala opening concert that includes a new piece by John Adams, as well as Gustav Mahler's Symphony No. 1. September 8, 2009  The young Dutch violinist was once known as much for her good looks as for her good playing. Today, she turns heads with a fearless approach to music and excellent technique. Hear Jansen play Tchaikovsky's classic Violin Concerto with the Los Angeles Philharmonic. January 19, 2007  The Los Angeles Philharmonic performs J.S. Bach's Brandenburg Concertos, music which is featured in a wide range of Hollywood film scores including A Bridge Too Far and Romy and Michele's High School Reunion. 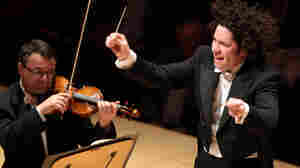 November 30, 2012  A major move for the NY Phil, back-and-forthing in Minnesota and the ROI on Dudamel: our weekly guide to what you absolutely need to know. There's also been something of crime wave, with embezzlement in Atlanta, suspected collusion in Switzerland and students in Ohio trying to crack the drug biz. 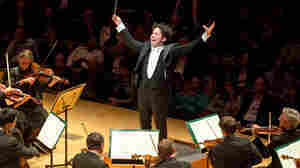 September 26, 2011  Hear the whole concert with superstar conductor Gustavo Dudamel and guest pianist Herbie Hancock, in luscious and thrilling performances. 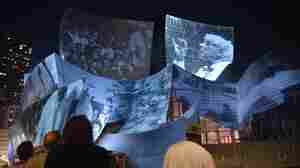 January 10, 2011  The L.A. Philharmonic charted its maiden voyage into movie theaters yesterday with a live simulcast. The orchestra was radiant. The production wasn't. Read reactions from viewers around the country. 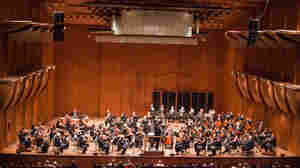 January 6, 2011  The Los Angeles Philharmonic plans to transmit live concerts to the nation's movie theaters. 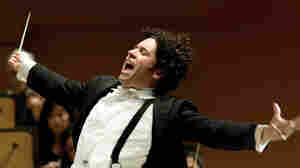 Will the exuberance of conductor Gustavo Dudamel pay off, or does the expense — and the static nature of a symphony performance — present a risk? April 20, 2010  The dark days of the conductor's troubled childhood brightened when he was exposed to music. 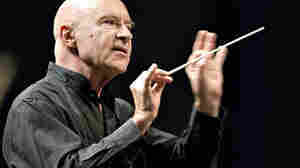 Hear Christoph Eschenbach in concert, leading the L.A. Philharmonic in music by Dvorak and Szymanowski.